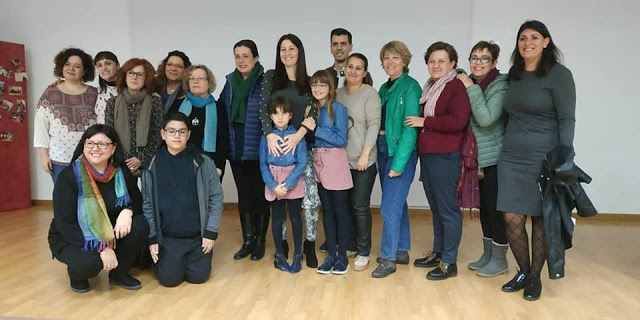 On March 7, we spent a wonderful afternoon with the wonderful psychologist Elena Marín Carratalá, who gave us a talk-workshop on anxiety. There were many people who listened very carefully and asked questions about the subject to which Elena responded with great pleasure in a pleasant and colloquial atmosphere. 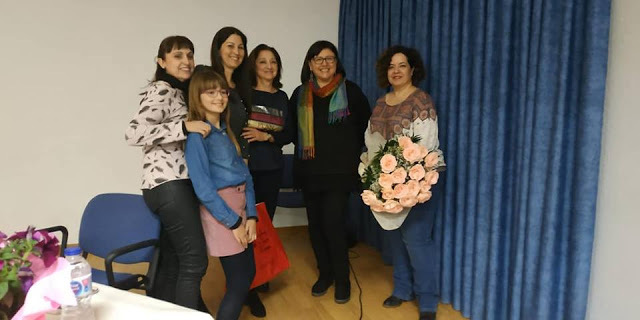 Also attended by the Councilor for Women of the City of Archena, Mari Carmen Alcolea, the Councilor of Psoe, Susana Valcarcel Costa, Jesus Yuste Raja, member of the executive, Tania Rojo Gómez, the executive of Podemos Murcia, friends of associations of Archena women and a large number of friends. Evenings like this one feel great. Thank you very much, to everyone!!!!! Anxiety and depression: more and more women suffer. There is still much to be done and much to advance as a society, women still suffer the burden of a macho society. We have joined the working world and we have achieved economic independence, but in our race to equal rights with men we have also made mistakes, we have demanded too much, we have overloaded ourselves and many times we overlook that this additional stress can affect our health (especially if we do not take care of ourselves). More and more women are suffering from anxiety and it is also common that this leads to a mood disorder: it is estimated that 18% of women suffer a major depression throughout their lives. Currently, there are many women who assume a triple role (mother, housewife and working woman) and this overload often results in anxiety. 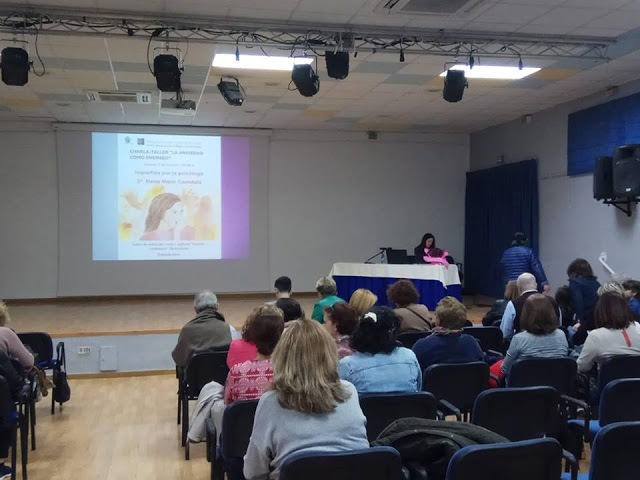 Because we consider this problem of great importance, our association collaborates, in the Women’s Week, with a talk by a great professional, the psychologist Dª. Elena Marín Carratalá. We are fortunate that a great professional wants to come and talk to us about this distressing feeling such as anxiety. • Degree in Psychology from the University of Murcia. • – Honorary collaborating professor at the UMU. Collaborative tutor in the practicum. • Psychotherapist from the company Asisa. 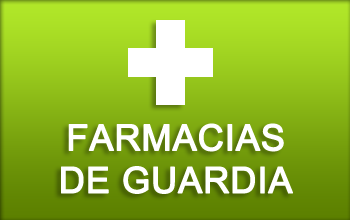 • Provision of services in private centers: “Juan XXIII Medical Center”, “Virgen de los Peligros Medical Center” and “Soma Center: Health and Wellbeing”. 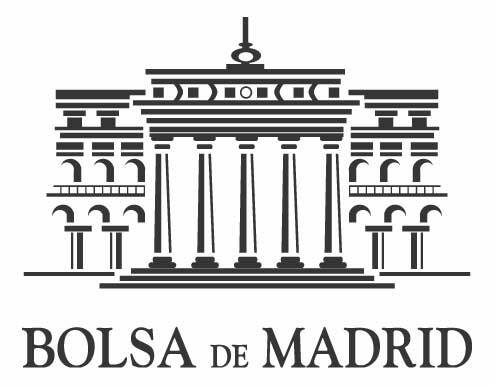 • Psychotherapist at the Adeslas Medical Center. • Psychologist at the Driver, Weapons and Dangerous Animals Recognition Center. “Virgen del Rosario Medical Center”. • Psychologist of the company “EUTOX”. Concert with Umivale and Mercadora from 2010 to the present. Currently “Centro Avances” in Murcia and “Clínica Virgen del Rosario” in Puente Tocinos. She, today, has explained to us very well what is this about anxiety.